After buying a new Lenovo Notebook, I noticed that the notebook tends to get quite warm around the keypad area after few hours of usage. 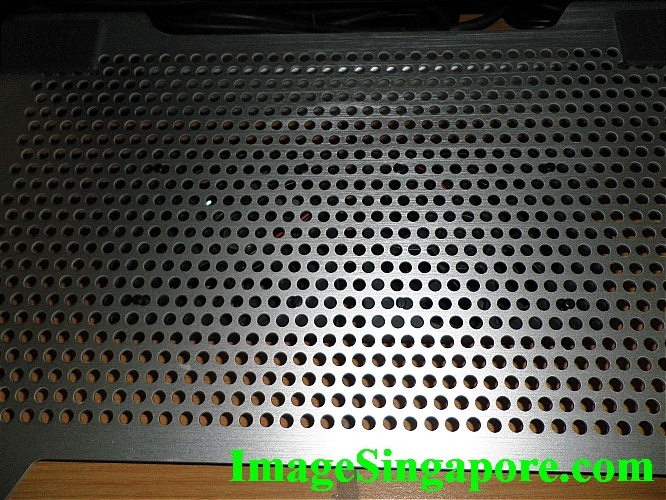 I know that there are cooler fans inside the laptop but I wondered whether it is effective enough to cool this laptop. So I decided to buy a notebook cooler from Cool Master. There are many brands of cooler fans in the market – from the cheap and no frills type to the very expensive designer version. After going through the various cooler fans on the shelves, I decided on Cool Master. This model that I had bought is called the Notebook U2 which is 14″ and can accommodate up to 17″ notebook. It is very light weight and is made of aluminum wire mesh. The exact dimension is 343 x 266 x 58.6mm and the weight is 725gm. It has 2 fans that are removable and adjustable to mount on any location within the aluminum wire mesh. The fan dimension is 80 x 80 x 10 mm. One good feature is that when you put the laptop on the wire mesh, it actually prop it up to an ergonomic angle so that it is now easily to type and view the screen on the notebook. Another good feature is that you can actually remove the 2 fans; and thereafter placed the notebook within the secured slot and then secured it with a elastic belt which is provided. This means that you can carry your notebook and the cooler fan at the same time. Is the cooler fans effective to cool down my notebook? 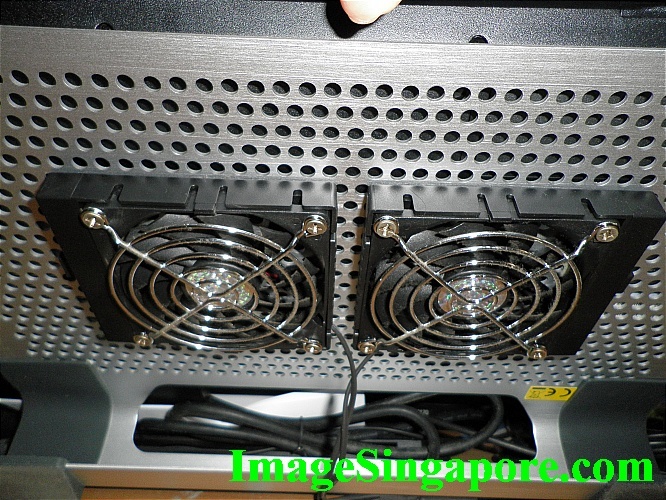 I felt that the wire mesh and the 2 cooler fans does help to dissipate the hot air quickly. This is especially good if you are using the notebook at room temperature in a hot tropical country where the heat can really intense. The notebook cooler from Cool Master is a good product and is doing a good job in dissipating heat from notebook. It is very quiet when it is in operation. 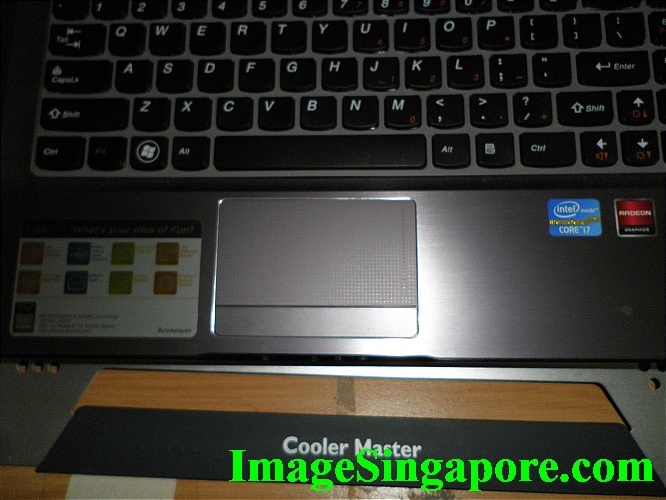 This cooler fan runs on power – there is a USB plug that is provided for you to plug it to the notebook. The USB plug provided by Cool Master also have a secondary USB slot provided – that means that it is giving back one USB slot for me to use it – really good.